One of the most fun-loving and spunky dogs out there, the newfypoo is easily a family favourite. 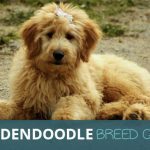 These incredible dogs are a cross between those elegant and dainty poodles and the jolly and sweet Newfoundlands. Newfypoos can also be referred to as a Newfydoodle, Newfiedoo, Newfoundlandpoo, Newfoundlandoodle, Poofoundland, and a Newfoundland-Poodle Mix. However you decide to describe them, it’s certain that they’ll be a favourite when all is set and done. 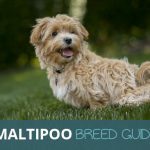 While there isn’t very much information on the origin of the NewfyPoo itself, there is a lot more information about its parent breeds. For instance, the Newfoundland dog originated from working dogs brought to England from Newfoundland in the early 1800’s. There are records of them in the United States as early as 1775! These dogs were used on fishing and sailing ventures and played an important role in Lewis and Clark’s Expedition. The Poodle is actually the French National Dog, but it originated in Germany. They were originally bred for the use of duck hunting but now enjoy a leisure life as a popular domestic companion. Known for its regal appearance and high intelligence, Poodles do very well both in a family home and in the show ring. Though we don’t know when the NewfyPoo officially came about, we do know that the International Designer Canine Association began to recognize the breed officially in 2009. NewfyPoos are one of the most loved designer dogs in the world. They love swimming, running and playing with kids. It’s hard to resist the charm and looks of a Newfypoo, but you’ll want to be aware that when it comes to mix puppies, predictability is almost nonexistent. For instance, if your dog is mostly a Newfoundland, it could be between 100-150 lbs. But if your dog is mostly poodle, it’s more likely it’ll weigh between 70 and 100 pounds. As helpful as it might be, you’ll never be able to fully predict the characteristics of a mixed-breed dog like the NewfyPoo. And that means that if you’re looking for ultimate predictability in everything from size to colour to behaviour, a purebred dog will end up being a better fit for you. However, if you feel like you can handle it, NewfyPoos certainly make excellent pets. 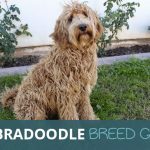 Because the NoofyPoo is a cross-breed, the colouring and characteristics of their face shape, coat and body will vary from dog to dog. However, NoofyPoos most often are clad in various shades of black, brown, or grey, though other colours are possible as well. Thanks to their thick, curly and oily coat, grooming your NewfyPoo can be quite the challenge. You should brush your dog down two or three times a week to keep them looking their best and also to keep their coat healthy as well as remove leaves, dirt, dandruff and loose fur. The Newfypoo is blessed and cursed with a thick, curly, oily, and water-resistant coat which looks fabulous, but leaves a lot of work for the owner in some cases. This is why a lot of owners often turn to professionals for help to keep their dog looking and feeling it’s best. If you don’t have a yard or won’t be able to take your dog out for regular walks, we don’t recommend the Newfypoo as it needs regular exercise and if you keep it outside a good bit of the time, you lessen the chances of oil from their coat getting onto your walls. Bathing them regularly is also advised, as it helps keep your dog and their coat healthy and happy. Known as a dog with a wonderfully large and loving heart, the NewfyPoo is great around kids, other pets and most especially you. They’re tender, kind, very affectionate and extremely social, which make them a wonderful family pet. NewfyPoos also make incredibly intelligent watchdogs and often deter intruders by their size and bark. Guaranteed, your Newfypoo will do whatever it takes to make you happy and keep you safe and make it their life mission to love you better than any dog ever could. NewfyPoos make wonderful, active and sweet companions. 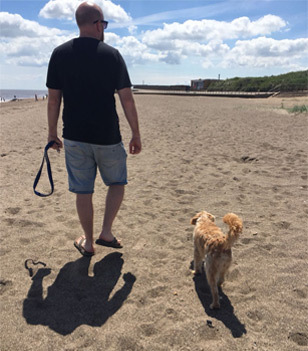 They’re perfect for people who need a friend to talk to who will listen and for people who love getting out and doing things with their pet. With a big heart and a lot of love to share, your NewfyPoo will enjoy pampering and being pampered, spending a Saturday lounging on the couch, or out running and swimming with you every waking moment. That being said, there are some things a potential owner will want to have in mind before making the decision about whether or not the NewfyPoo is right for them. For one, your NewfyPoo is going to need a LOT of space. They are liable to fit into the “Giant” category if they have a lot of Newfoundland in them, so they can be expensive to feed and maintain. They’ll need room to play and explore in order to live the healthiest lives they can, so if you live in tight quarters, the NewfyPoo is probably not the best dog for you. If, however, you’re prepared to deal with some oil stains on the walls and furniture, the food costs and able to sufficiently provide your NewfyPoo with plenty of quality time and exercise, have at it! It’s not hard to see why the NewfyPoo is such a wonderful companion when you find one you love. They’re almost like giant teddy bears with their own personality and style. And of course, that’s why they’re such a popular designer dog! If you have the time and patience, training a NewfyPoo is not as difficult as training some other cross-breeds. NewfyPoos are very intelligent and eager to please, so you’ll find that the overall calmness and sweetness of their temperament will help you out in the training process. Of course, that being said, they are very large animals and can display a bit of stubbornness as they get older, so training a young pup before their full size is going to be the best option. Plus, if you train them while they’re young, they’ll live a much safer and more enjoyable life. You’ll want to begin training them by teaching them to sit and stay. The faster you can teach this command to a young NewfyPoo, the better because like all large dogs of this type, NewfyPoos are prone to issues with their hips, so learning not to jump or run around wild will help keep their hips healthy longer. Like many other “hybrid” breeds, Newfypoos will be prone to most of the diseases the parent breeds suffer from. 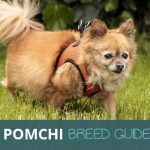 And though they won’t struggle with everything or even a few things the parent breed may suffer with, It’s still wise to be aware of the potential health concerns so you can watch for early warning signs and take care of issues that arise. Generally, when it comes to the health of their eyes, Newfypoos are most prone to progressive retinal atrophy (PRA), cataracts, glaucoma, and cherry eye. These things can be treated and like we said, it’s wise to know the early warning signs so that diseases and infections can be caught early and treated. Bone and joint problems are also a regular concern when it comes to NewfyPoos. Hip and elbow dysplasia and patellar luxation are relatively common for this particular breed, so regular check-ups are encouraged. Heart conditions such as subaortic stenosis and dilated cardiomyopathy are also relatively common, so you’ll want to keep that in mind. But also remember that every breed has its weaknesses and its strengths. Sadly, there’s no such thing as the perfect dog. However, there are some things to think about when it comes to selecting and bringing a NewfyPoo home to you. 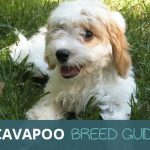 Will you be purchasing your NewfyPoo from a shelter or a breeder? Have you budgeted money out to make sure that you can take on the financial burden? The last thing you want to do is take on a dog that is relying on you when you’re not in a position to financially, emotionally or physically handle them. Are you prepared to purchase a NewfyPoo? NewfyPoos as large designer dogs aren’t the cheapest dogs around. Whether you purchase from a shelter or a private breeder, you’ll be expected to pay around £800 and £1,500 for your dog. If you purchase from a breeder, you’ll want to vet the breeder. Don’t buy your dog from just anywhere. Ask for references, tour the places where your puppy has been spending it’s time, find out what it’s been eating. The start of a puppy’s life can dictate a lot about its future and the care you need to give your NewfyPoo. If you decide to purchase a rescue pup, congratulations! It can be tough making such a decision knowing your NewfyPoo probably hasn’t had the best start and will need a lot of TLC. Just remember to be patient with your rescue pup and don’t ever hesitate to ask someone for help. We’re so excited for you! Forget being “too prepared”. You’re about to make a really big decision and you will want to know exactly what you’re getting yourself into before you bring your precious NewfyPoo home. 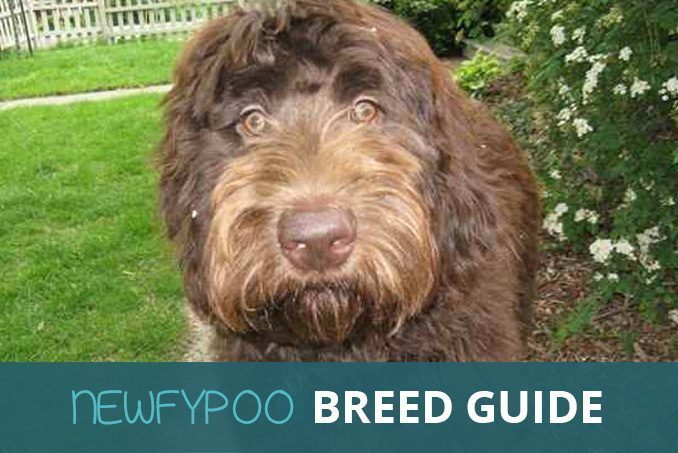 So to help you out a little, here are all of the pros and cons of owning a NewfyPoo. While there are pros and cons to every breed and cross-breed of dog, the decision lies with you! Can you handle the cons? Are the pros worth it? If the NewfyPoo is right for you, we’re sure you’ll find a way to make it work and enjoy life with your dog to the max. Of course, the closest breeds to the NewfyPoo would be their parent breeds, the Newfoundland and the Poodle. If you want something smaller, the poodle would be your overall best option, but you’d also miss out on some of the wild fun that comes along with the loveable Newfoundland. While the NewfyPoo can seem like a lot of work, they’re well worth it when it comes to their loveable and sweet-tempered nature. You won’t find a dog so full of regard for it’s owner anywhere, that’s for certain. Not to mention that training comes easier due to their calm nature and high intelligence. This is why a majority of NewfyPoos are often used as service animals. 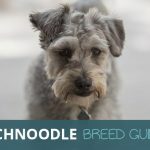 We hope that this guide has been beyond insightful in helping you make an informed decision about whether or not you’re ready to take on the fun-loving and excitable NewfyPoo. Enjoy the Adventure and we wish you the best of Luck!! Huh! I’ve never heard of a Newfypoo. They’re cute, though, except for the drooling part. I love the big massive Newfoundland dogs too. I’m from Nova Scotia, and we saw a lot of them there, Newfoundland being relatively close. And, of course, nothing beats a smart poodle. Thanks for the insight into this cool-looking dog.